I would like to share a sample of the type of spirit photographs that we have been able to collect for the past 30 days, along with a photograph that was sent to us from France which is really cool. I want to share the type of signs through photographs that our loved ones, spirit guides and angelic being can and do give us. There are many different kinds of signs that our loved ones, spirit guides and angelic being can and do give us, for me many of them are through photographs. We have a large collection of about 40,000 photographs that we have taken over the past 5 plus years since our son Billy crossed over to heaven. You may also like to read some of my past blog’s and learn about other types of signs that our loved ones can and do give us which I have written about from others who have done a great job in collecting stories from many others who have receive signs from their loved ones. Okay, back to the types of spirit photographs that I have taken over the past 30 days. 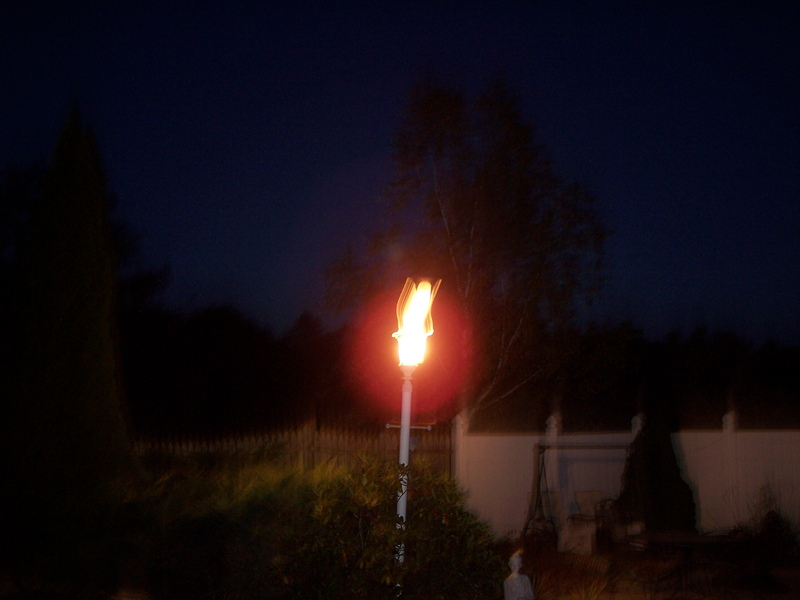 Spirit photos come in many different images and here are a few of them. This first photograph was taken indoors in our family room October 6 2010. Notice the spirit energy using the light from our TV. Yes I was watching Star Trek Voyager, I like the show….LOL. This second photograph was also taken on October 6 2010, this time outside of our home’s back yard. This photograph is filled with spirit energy, beginning with the large Golden orbs, which is one of 26 golden orb photograph that were taken that day. 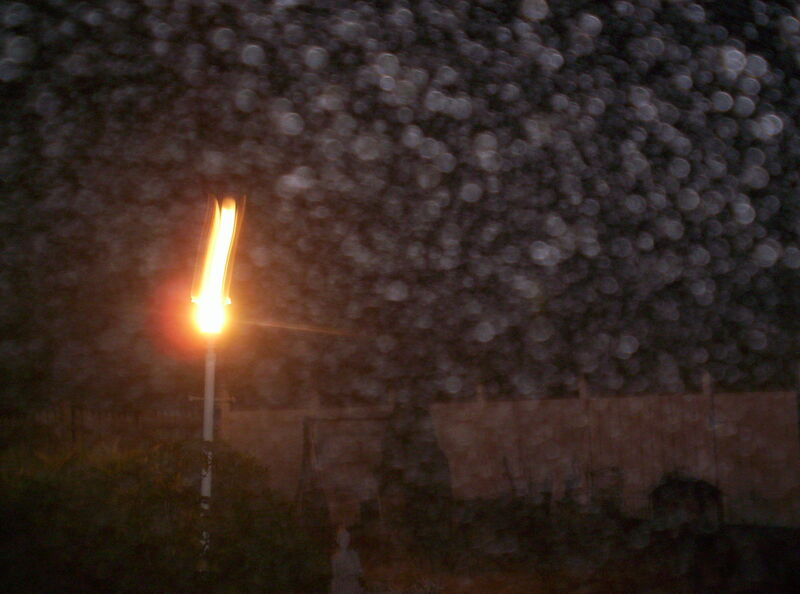 Second image on this photograph are the white orbs and third the streaking light from our outdoor light. The third photo was taken on october 13 2010. I love taking photographs of the Moon because I am always hoping for a heart-shaped image of the moon, sometimes I receive one and other times I receive something like this one. 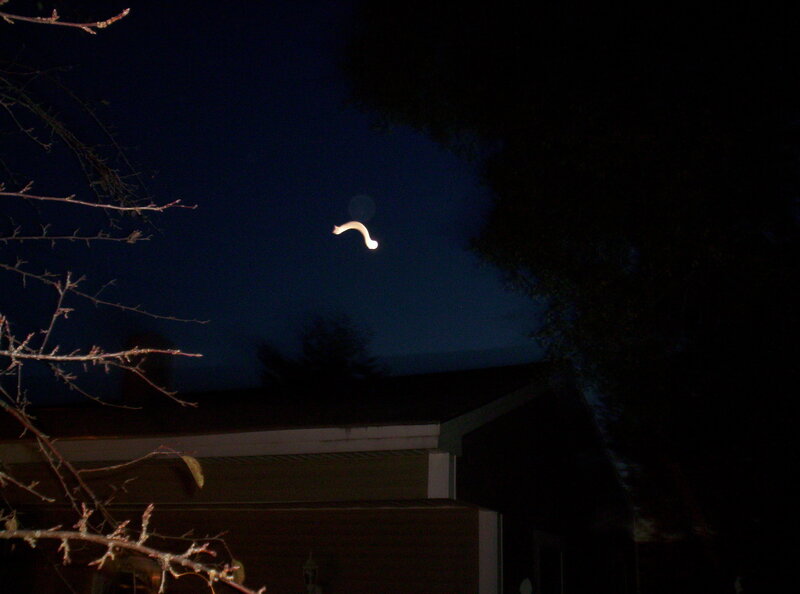 You can see the light from the Moon in a curve and you may also notice the orb that seems to rest atop of the curved light from the Moon. I think sometimes they like to play around….LOL. 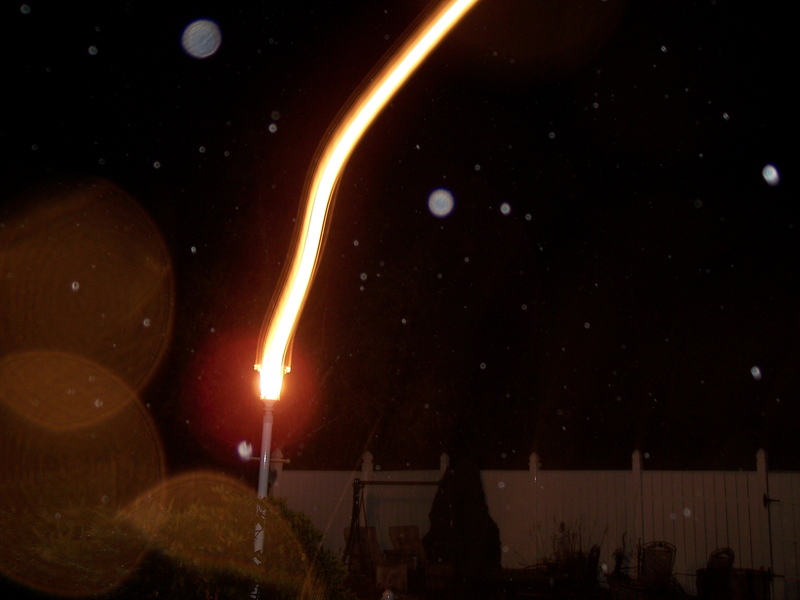 The fourth photo that I would like to share is a photo of our outdoor light which was taken on October 13 2010. I like to call this spirit energy light my angel light photograph. If you can zoom in a little bit you may notice that the spirit light image kind of takes on an angelic form. I have receive emails and comment from other saying the same thing, pretty cool. The fifth photograph is one of my all time favorite signs from our son Billy, the heart-shaped image of the moon. 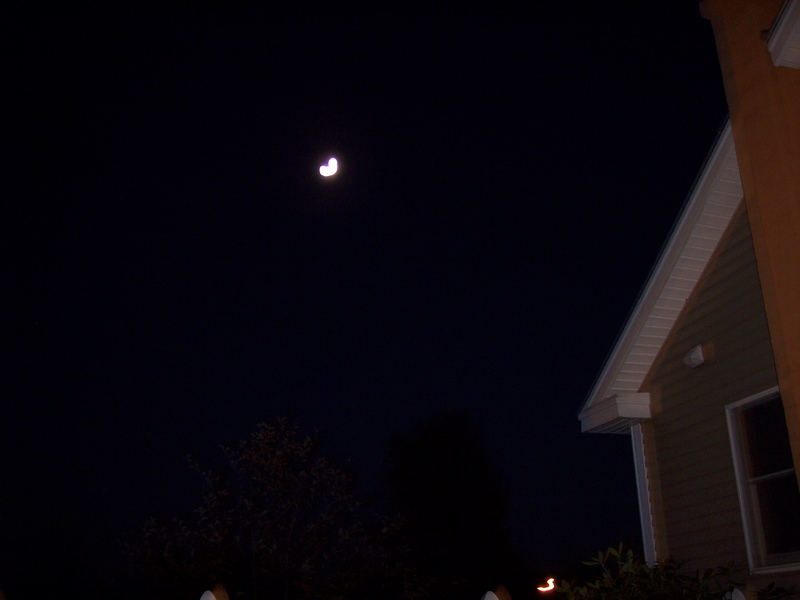 This photograph was taken on October 17 2010 from our home. I really really love these, really I do. 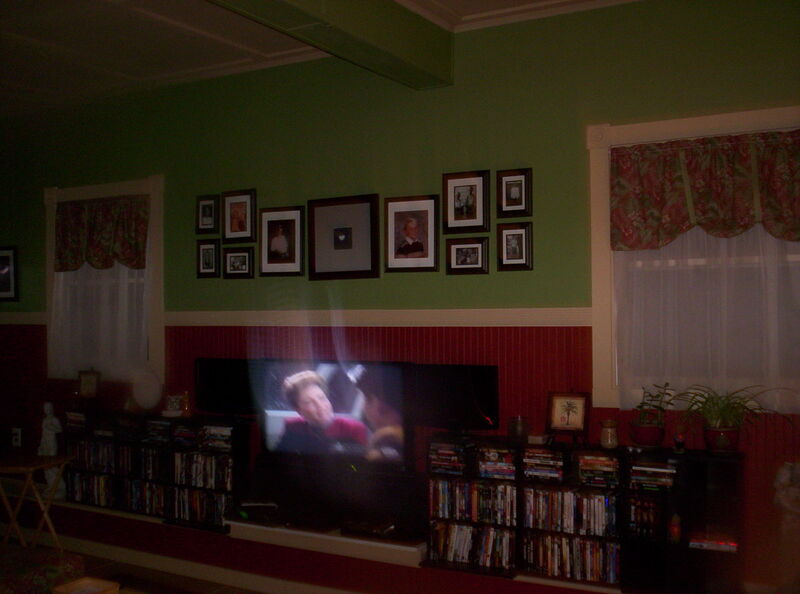 The sixth photograph of many spirit orbs was taken on October 26 2010 is one of 57 photographs that were taken that day. You can see that there were so many orbs that it filled the camera lens, also you can see the spirit energy in our outdoor light. The seventh photo was taken this morning. November 3 2010. I wanted to take a few photographs of the moon hoping to receive a heart-shaped image and this is what I receive. 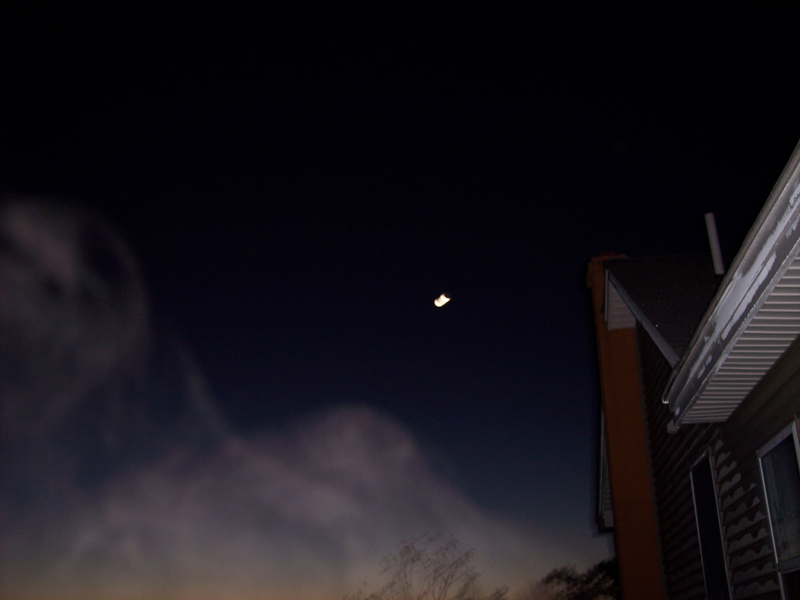 The white ” mist” or more accurately called spirit essence appeared on the photograph. I really like this type of photograph, because I can see them ( spirit essence ) just as the camera flash is going off. I can see their size, color and shape, and they appear more amazing with the eye then they do on photographs. The last photograph which I enjoy was email to me by Thierry Chauvet of Toulon France. 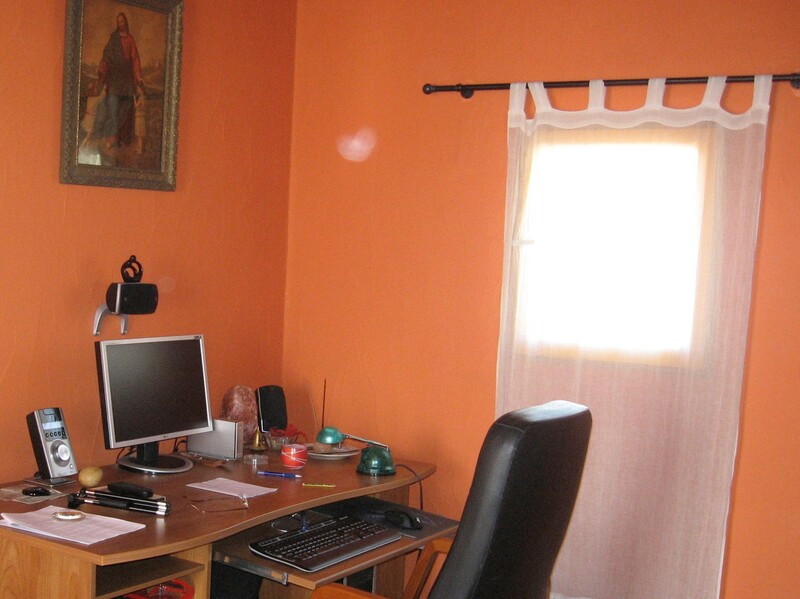 This photo was taken at home of which you can see the heart-shaped orb by the curtain rod. This photo is also on our photo of the month our website www.oursonbilly.com . I hope that you enjoy the different types of spirit photographs and remember that anyone can take photograph like this, just keep an open mind and start taking photographs. If you have a spirit photogrph that you would like to share, just email them to me and we’ll see if we can have the photo on a future blog our on our photo of the month on www.oursonbilly’s website. I sometime receive emails from other grieving parents and one of the things they have asked me is, how was I able to deal with the loss of our son Billy. Some of the ways that I have dealt with our loss are mentioned in previous post on this blog. One that I haven’t written about on this blog, is written about on our website www.oursonbilly.com . Some of the parents who have emailed me thanked us for writing about it on our website and book, Signs From Our Loved Ones, so I will write about it on this blog. What if it was the other way around, what if you Guy had died and crossed over to heaven and Billy was grieving for you the way you are for Billy; How would you, Guy in heaven feel about how Billy was grieving and feeling for you. Great question. Great question indeed, but at the time my grief was to strong for me to start thinking about, what if it was the other way around. I kind of let it go in one ear and out the other, although it did stay in the back of my mind. It may have been about 4 to 5 months later when the same question was asked of me again, this time it did sink in. Again like the first time, a great question. I started to think, if it was the other way around, how would I now in heaven feel after crossing over to heaven and our son Billy was grieving for me the way I was for Billy. I didn’t like it, I would not want Billy or anyone else to be grieving for me the way I was for him. It made me feel very sad that I may have made Billy crossing over to heaven a bit of a sad one. Maybe one day I will have to ask Billy that question, it could be very helpful to know, if so, maybe we can help others know that it may have an effect on them, then again it may not. Anyway, I would from heaven do everything I could possibly do to help Billy to let go of those feelings and to start moving forward with his life, to be happy, live life to the fullest, have joy and start having fun again. because when it’s time for Billy to cross over to heaven we will be together again. I want to make myself clear, it’s okay to grieve, it’s when it starts to be prolonged, you stay depressed or your start to go into a deep depression and if all you do is keep thinking about the loss of your loved one, that isn’t good. We all have someone here in flesh and blood that loves us and wants to start living again. Our loved ones in heaven do not want us to grieve any longer then we have to. There is not set way or time frame for how anyone does grieve or for how long, we are all different, but there comes a time when we have to start the process of moving forward living our lives and enjoy the people who are still with us. We have to let go of the physical part of our loved one who has crossed over, remember they are still with us in our true form spirit with all of their memories, they know how we are feeling, what we are thinking, they know how we feel about them and they know whats in our hearts. They want us to be happy. When this was mentioned to me the second time around I started to think about it the other way around, I knew that I had to change about how I was feeling. For me it was a combination of thing that helped in some way, from my wife, family, friends and others including spirit messenger Vicki Monroe, and receiving signs from Billy which is really cool, and thinking about, what if it was the other way around all of these helped me to start the process of moving forward and living my life again. What I can tell you is that it takes time, one step and one day at a time, things will start to get better in time. You will start to have many good days and less of the bad days, which is what our loved ones in heaven help us to do, but we have to do our part. Keep in mind, what if it was the other way around, how would you feel about how your loved one was grieving for you. I am willing to say that, if it was the other way around, that you from heaven would do everything that you could to help your grieving loved one to begin the process of moving forward, living life to the fullest and to be happy. I am also willing to say that your loved one who have crossed over to heaven is most definitely trying to help you to start moving forward with your life, to be happy again, start having fun , living life to the fullest, having joy…….. right now. Remember, our loved ones are always close by helping us from heaven in whatever our journey here on this physical life may be and they want us to live life to the fullest. Just remember take it one step and one day at a time.